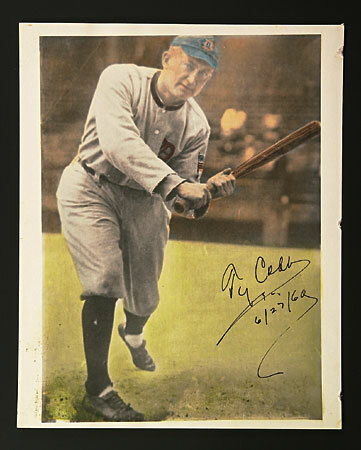 On December 27, 2007 long-time autograph and baseball card collector Jeffrey W. Morey sat down with me for a telephone interview to discuss his experiences getting deadball era baseball cards signed by players. 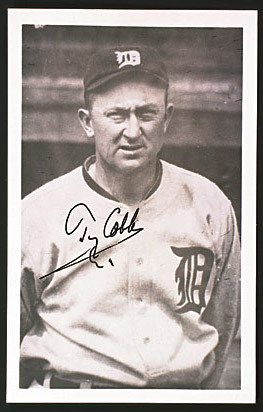 Among other things in this 30-minute interview, Mr. Morey described his visit with old time New York Giant pitcher Hooks Wiltse in 1954 and his encounter six years later with Ty Cobb in Cooperstown, New York. These are a few of the items Morey had Cobb sign over breakfast in Cooperstown on June 27, 1960. 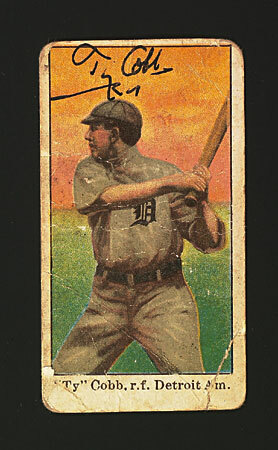 As Morey explained in his interview, these were signed by Cobb using Morey's rapidograph pen, which contained black India ink. 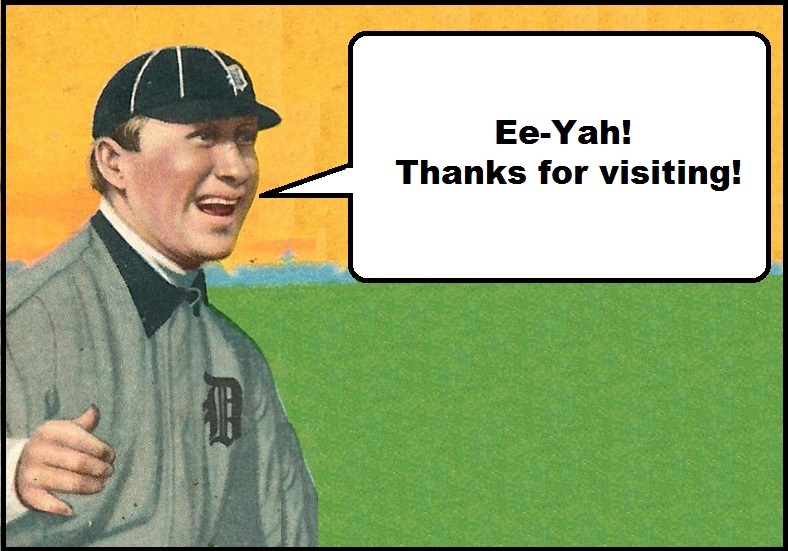 Interestingly, that was the date of the Hall of Fame game between the Chicago Cubs and the Cleveland Indians. Here are a few of the lots from the catalog of Morey's May 18, 2001 auction (Mike Gutierrez/Mastro). The introductory piece, with a pair of Morey "selfies" with Hall of Famers Red Ruffing and Edd Roush is a very nice touch!